There has been a major shuffle in Class AAAAAAA. No. 8 Cherokee sinks five spots after losses to risers No. 4 North Cobb 51-50 and No. 5 Norcross 65-58. The Lady Warriors shoot up six spots while the Lady Blue climb four slots after a perfect 3-0 week, Yamani Paul returning to the court and scoring 11 points against Cherokee. No. 3 McEachern is up three spots following a 69-39 win at North Paulding, but the Lady Indians still need a resume building win. They have Class 3A No. 6 GAC and No. 4 North Cobb on the horizon. No. 1 Collins Hill is holding strong after a 57-41 win at the Wesleyan Showcase over Class 5A No. 3 Southwest DeKalb. There is no movement in Class AAAAAA. No. 3 Northview edged Class 7A No. 10 North Forsyth 49-40, the Titans holding the Raiders to 11 second half points after North Forsyth drilled seven first half threes. No. 1 Lovejoy raced away from South Carolina powerhouse North Augusta 67-49. No. 9 Glynn Academy suffered a loss, but it was a 60-59 thriller against Class 3A No. 1 Beach. No. 2 Buford is rounding into shape in Class AAAAA. The Lady Wolves drilled Class 3A No. 10 Morgan County 62-36 and outlasted Parkview 54-46 using their five-in, five-out substitution pattern. Tate Walters scored a game-high 18 points while Preston Reid added 12. No. 5 Harris County slips two spots after a 58-56 loss at No. 6 Carrollton. The Lady Trojans were poised to climb even higher, but they lost focus and were blown out by Brookwood 61-29, freshman Kehinde Obasuyi scoring 18 points in the loss. No. 9 Statesboro sneaks up another spot. The Blue Devils won at Bradwell Institute 44-43 and knocked off Class 2A No. 4 Swainsboro 61-57. Woodland-Stockbridge (3-3) falls out of the poll following a 51-39 loss at No. 4 Eagle’s Landing, who rises one position. Into the rankings is No. 10 Griffin. The Bears cruised against Fayette County 67-43 and their only loss came at Class 4A No. 6 Luella 55-51. Seniors Daisya Reid and Zacoria Berry are averaging 15.7 points and 11.7 points. Junior Averyana Nelson is chipping in 11 points a night. There is a new top dog in Class AAAA and its No. 1 Carver-Columbus. Just like last year, the Tigers have steamrolled the opposition. They pounded Spencer 102-21 and Harrison 71-41. They get the nod over defending state champ No. 2 Spalding after the Jaguars fell to Class A-Private No. 3 Holy Innocents’ 55-40 and didn’t impress at Fayette County, squeaking out a 47-45 victory. The Tigers and Jaguars also have a mutual opponent: Class 5A No. 4 Eagle’s Landing. Carver won by 18 while Spalding defeated the Eagles by 7. Elsewhere, No. 3 Madison County is in a little bit of trouble after All-State guard Kayla McPherson suffered a concussion in the second quarter of their 64-45 win over Cedar Shoals. The Red Raiders gutted out a 53-48 win over Habersham Central, Old Dominion-signee Jordan Bailey netting 25 points in McPherson’s absence. No. 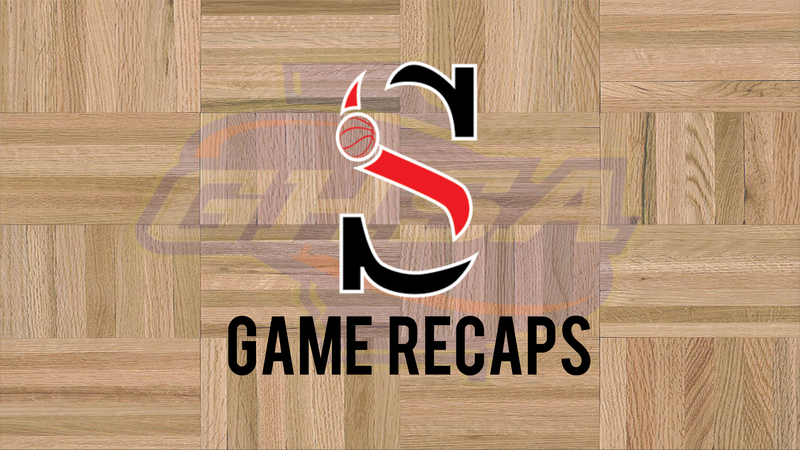 5 Flowery Branch got revenge with a 59-45 victory over last week’s Class 3A No. 3 Dawson County. No. 8 West Laurens drops a spot after a 66-60 loss to Veterans. No. 9 Marist leaps No. 10 Burke County after beating Pinecrest Academy 59-13 and the Lady Bears getting past Greenbrier 46-36 in their season opener. In Class AAA it was the Capulets vs. the Montagues, better known as No. 1 Beach vs. No. 2 Johnson-Savannah. Like always, except for the 2017 state finals, it was an instant classic with the Bulldogs holding off the Atomsmashers 55-53 in overtime. Jaida Burgess found Destiny Whitehead for the game-winning layup. Burgess had a team-high 14 points for the Bulldogs while Kaila Rougier had 13. Antalazia Baker, a Woodville-Tompkins transfer, scored a game-high 24 for Johnson while Jasmine Thompson added 12. Up in north Georgia, No. 3 Jefferson moves up another spot after trouncing East Hall 70-34 at the North Georgia Showcase. No. 7 Dawson County slips four spots after losses to Class 4A No. 5 Flowey Branch 59-45 and Class 2A No. 5 Banks County 53-50. 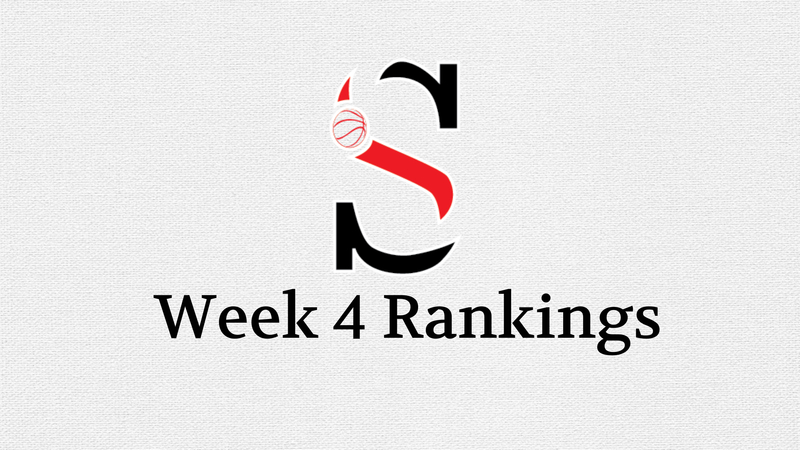 Sonoraville (3-2) exits the Top 10 following a 58-54 loss to Ringgold. No. 9 Lovett debuts after a 61-29 win over Redan. No. 10 Morgan County clings onto their spot after a 62-36 loss to Class 5A No. 2 Buford. As they always do, the Bulldogs have scheduled tough, playing three 7A schools prior to their loss to Buford. All tuned up for Region 8 play, Coach Josh Reeves’ Dogs travel to Carnesville to play defending region champion Franklin County who is currently 5-1. It was another topsy-turvy week in Class AA. No. 1 Dodge County pounded Class A-Public No. 1 Telfair County into submission 88-58 behind Destanee Wright’s 34 points. The meteoric rise of No. 2 Douglass continues, up four more spots. The Lady Astros’ great showings against premier competition looks even better considering Class 7A No. 10 North Forsyth blew past No. 8 Rabun County 66-44, dropping the LadyCats five spots after Douglass lost to the Raiders 51-50. Now back in Class 2A play, the Astros drilled Coretta Scott King 88-5 and dispatched of KIPP Atlanta 54-31. Douglass replaces No. 4 Swainsboro, who sank two spots after losing 61-57 to Class 5A No. 9 Statesboro. Speaking of sinking, Preseason No. 1 Josey (2-3) is out of the poll after losing to No. 3 Laney 51-46. With everyone returning and a handful of transfers in to bolster the roster, the Eagles have failed every test against Top 10 competition going 0-3. No. 5 Banks County climbs four places thanks to wins over East Hall 51-35 and Class 3A No. 7 Dawson County 53-50. GSCU-signee Jaycie Bowen scored 13 points against Dawson County while Heather Vaughan added 11 and Amber Williams had 10. Entering the Top 10 is No. 10 Woodville-Tompkins. The Wolverines’ best win came against Bradwell Institute 52-39 on November 20. They get a chance to prove their legitimacy on Tuesday as they travel to No. 4 Swainsboro. No. 1 Wesleyan had a record-breaking night in Class A-Private as Nicole Azar hit 8 threes to finish with 33 points and 8 assists in a 91-28 win over St. Pius X. Paige Lyons tallied 24 points, 7 assists and 7 steals while Callie Weaver contributed 16 points and 6 assists. No. 2 St. Francis lost to Hoover (AL) 54-53 and now feels No. 3 Holy Innocents’ closing in, the Golden Bears now healthy after beating last week’s Class 4A No. 1 Spalding 55-40 and Class 7A No. 6 Hillgrove 57-47. Athens Academy (3-3) exits the poll after losing 65-38 to No. 6 Lakeview Academy and 54-41 to No. 4 Stratford Academy. Debuting is No. 10 Mt. Paran, a young team anchored by 6-foot-2 sophomore Savannah Casey. The Eagles went 3-0 last week beating Gordon Central 64-61, Galloway 64-27 and Tallulah Falls 68-42. No. 1 Telfair County maintains first-place in Class A-Public even after an 88-58 loss to Class 2A No. 1 Dodge County. No. 5 Calhoun County holds tight after a tough 53-36 loss to Class 2A No. 6 Early County. No. 8 Quitman County won 44-38 at Terrell County. Turner County (1-2) is out of the rankings after a bad 45-44 loss to Hawkinsville and a 79-41 loss to No. 1 Telfair County. No. 10 Emanuel County Institute jumps in the mix following a 68-43 win over McIntosh County Academy. Sophomore Prencis Harden exploded for 36 points, 15 rebounds and 5 assists.